If you lived through the 90’s, chances are you can vividly recall the Beanie Baby craze. It seemed as though everyone was collecting hundreds of different types of floppy plush creatures as they could with false optimism that one day they would be worth a fortune. Now, the blockchain company and self-described “innovation studio” Axiom Zen has taken the model used by Ty Inc. back in the day and attempted to transfer it to the digital world. “Think digital Beanie Babies” is how CryptoKitties sums itself up in layman’s terms. CryptoKitties is kind of like Neopets in that it’s a virtual game based around having digital pets, except in this case the game is built on blockchain technology – and the pets are quite a bit more expensive. Following its launch on November 28, 2017, the first CryptoKitty, Genesis, sold for a whopping $117,712. Cattributes consist of 12 different features, including their environment, color, pattern, eye type, and mouth. The Cattributes possessed by any one cat are determined by a 256-bit genome code, which is entirely unique to that cat, meaning that there are four billion possible cat variations in total. The “Cat Codex” tracks how many Cattributes you’ve collected overall, with the goal of the game being to eventually collect all of them. Axiom Zen currently plans to create and sell 50,000 Kitties in the first generation. A new cat is released every 15 minutes, which is then sold to just one person, hence the sometimes astronomically high prices. The last of this initial generation will be released in November 2018. Although this first batch is capped at 50,000, there are already more CryptoKitties than that in existence due to another feature that Beanie Babies didn’t have: breeding. Yes, you can breed your cats together to create a new and entirely unique cat. Just like with humans, the parental traits can be passed down to their offspring, or you may see traits in your cats that come from recessive traits carried by the parents. Certain characteristics can also combine to create entirely new traits. The question posed by CryptoKitties is a novel and intriguing one: Can digital goods achieve the same kind of rarity that physical goods can (Beanie Babies, for instance)? Since the beginning of the internet, every form of data shared on the web has been a copy: music, pictures, videos, news articles, etc. But these CryptoKitties are built on the Ethereum blockchain, meaning they must be purchased with ether rather than regular money, and the genetic algorithm that enables CryptoKitty is top secret, so it should be impossible to duplicate them. Blockchain technology essentially consists of digital ledgers that keep a record of what everyone on that blockchain owns, whether it be cryptocurrency or “crypto-collectibles” like these cats. Copies of these ledgers are shared with every member of the blockchain, and if someone tries to claim that they own something they don’t, the data in the ledgers can be cited to easily prove them wrong. So really, when you buy a CryptoKitty, you’re really only buying the code that built the Kitty. The artwork still belongs to Axiom Zen as per their terms of service. They can do whatever they want with it, and that might include taking away your animated cat and leaving you with just the string of numbers and letters that made it up. 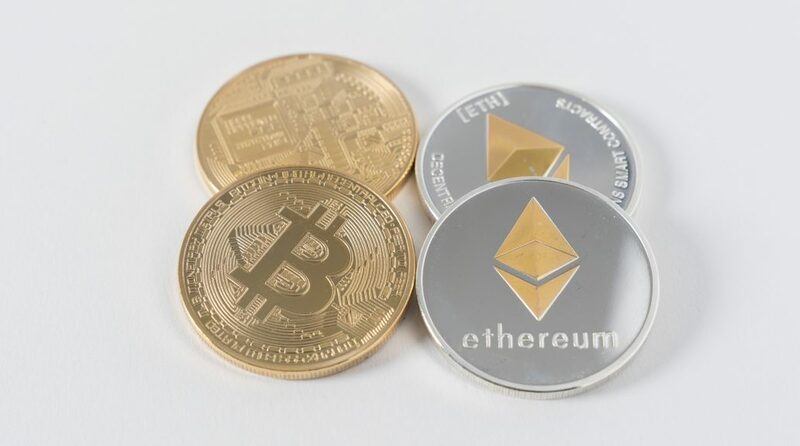 In that way, crypto-collectibles differ greatly from physical collectibles. I don’t seem to remember anyone coming to my house and ripping my Beanie Baby collection from my hands. The first-ever crop of CryptoKitties is basically an experiment, but it’s a fascinating one. As of now, users have collectively spent over $23 million (or 30,000 Ethereum) on the cats. In one case, a man from Austin, Texas found more financial success by trading cryptokitties than by investing in his IRA. It was also announced just a couple weeks ago that NBA player Stephen Curry would be the first celebrity CryptoKitty. What are your thoughts on CryptoKitties? What implications do you think the concept of digital scarcity could have in the long run?